Stromatolites or stromatoliths are layered bio-chemical accretionary structures formed in shallow water by the trapping, binding and cementation of sedimentary grains by biofilms (microbial mats) of microorganisms, especially cyanobacteria, a single-celled photosynthesizing microbe (that still lives today) in a wide range of environments ranging from the shallow shelf to lakes, rivers, and even soils. Cyanobacteria are prokaryotic cells (the simplest form of modern carbon-based life) in that they lack a DNA-packaging nucleus. 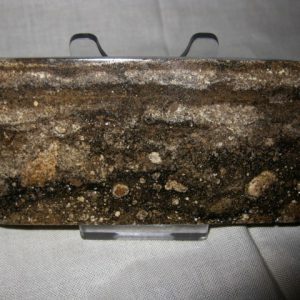 Bacteria, including the photosynthetic cyanobacteria, were the only form of life on Earth for the first 2 billion years that life existed on Earth. 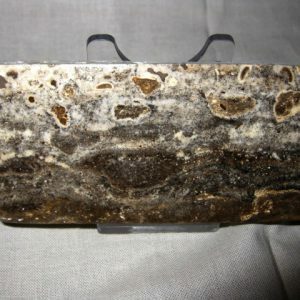 Fossilized stromatolites provide ancient records of life on Earth by these remains, which might date from more than 3.5 billion years. 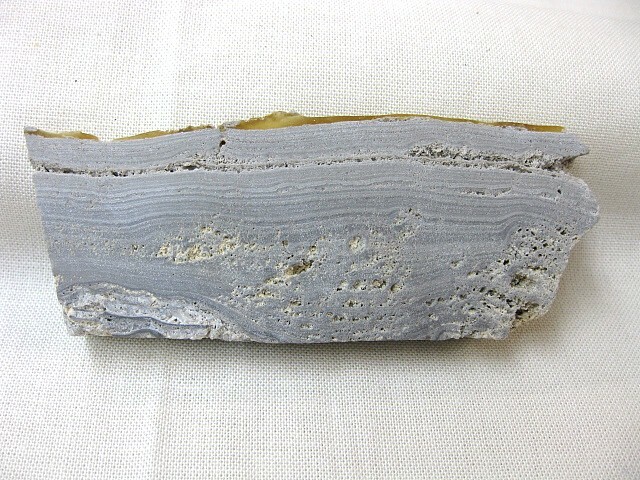 Lichen stromatolites are a proposed mechanism of formation of some kinds of layered rock structure that is formed above water, where rock meets air, by repeated colonization of the rock by endolithic lichens. 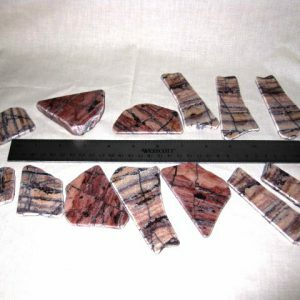 A variety of stromatolite morphologies exists, including conical, stratiform, branching, domal, and columnar types. 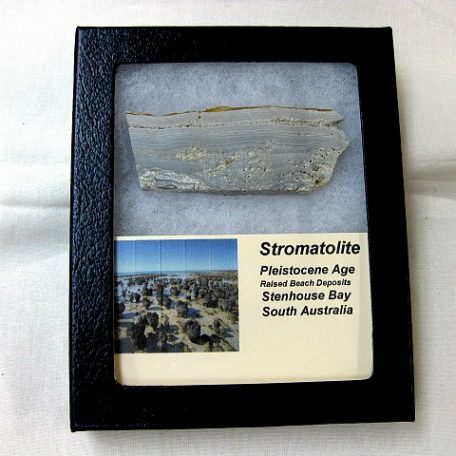 Stromatolites occur widely in the fossil record of the Precambrian, but are rare today. 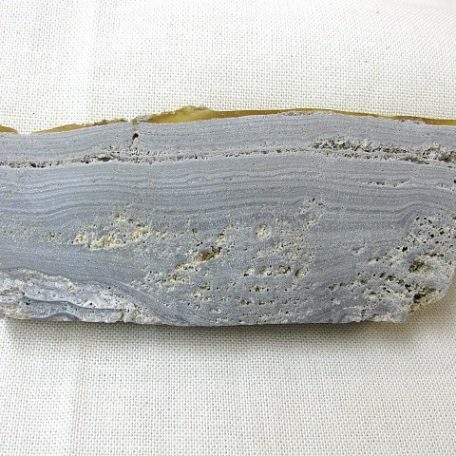 Very few ancient stromatolites contain fossilized microbes. 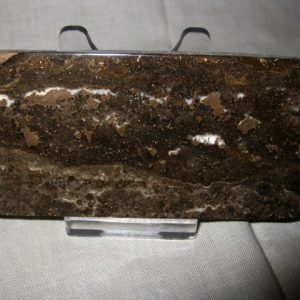 While features of some stromatolites are suggestive of biological activity, others possess features that are more consistent with abiotic (non-biological) precipitation. 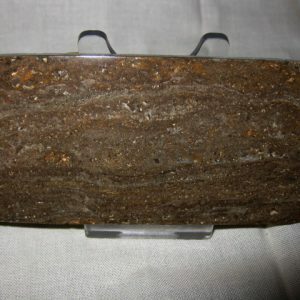 Finding reliable ways to distinguish between biologically formed and abiotic stromatolites is an active area of research in geology. 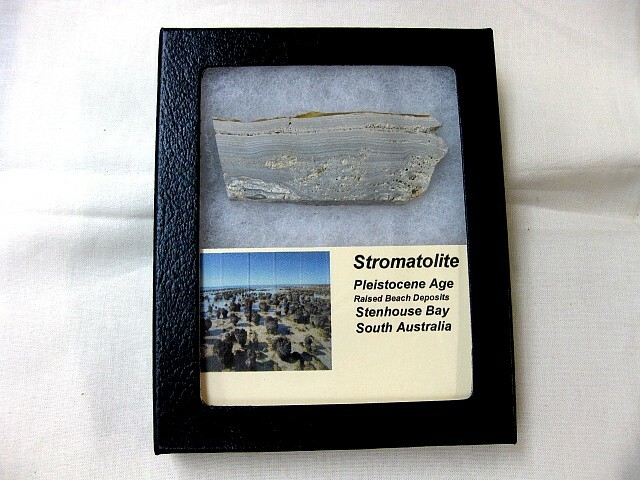 Stromatolites are a major constituent of the fossil record of the first forms of life on earth. 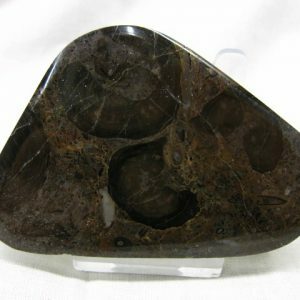 The earliest fossils date to 3.5 billion years ago. They peaked about 1.25 billion years ago and subsequently declined in abundance and diversity, so that by the start of the Cambrian they had fallen to 20% of their peak. Although simple cells, cyanobacteria were ultimately responsible for one of the most important “global changes” that the Earth has undergone. Being photosynthetic, cyanobacteria produce oxygen as a by-product. Photosynthesis is the only major source of free oxygen gas in the atmosphere. 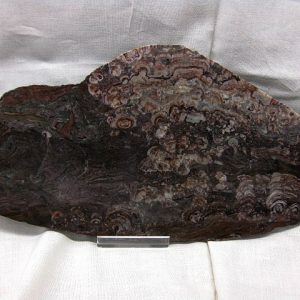 As stromatolites became more common 2.5 billion years ago, they gradually changed the Earth’s atmosphere from a carbon dioxide-rich mixture to the present-day oxygen-rich atmosphere. This major change paved the way for the next evolutionary step, the appearance of life based on the eukaryotic cell (cell with a nucleus).